FOR A LONG TIME, it was thought that the paintings of Georgia O’Keeffe contained specks of sand traceable to her beloved New Mexico environs. But, over time, these specks were taking on a life of their own, growing, spreading, and occasionally flaking off. It wasn’t New Mexico sand; rather, researchers identified the problem as a kind of artwork acne. What’s more, their findings may lead beyond O’Keeffe’s masterpieces to assessing oil paintings from all ages. 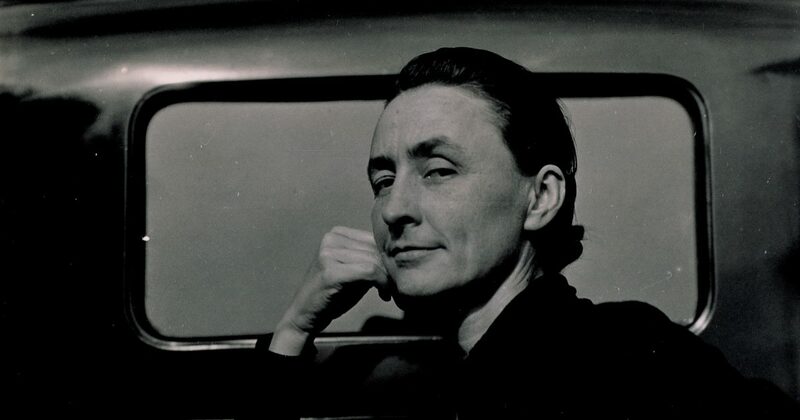 According to Wikipedia, Georgia O’Keeffe has been recognized as the “Mother of American modernism.” She is renowned for her paintings of oversize flowers, New York City skyscrapers, and New Mexico landscapes. One of these locales is a narrow mesa in northern New Mexico called Cerro Pedernal, Spanish for “Flint Hill.” It’s known locally as Pedernal. My Front Yard, Summer, 1941, by Georgia O’Keeffe. 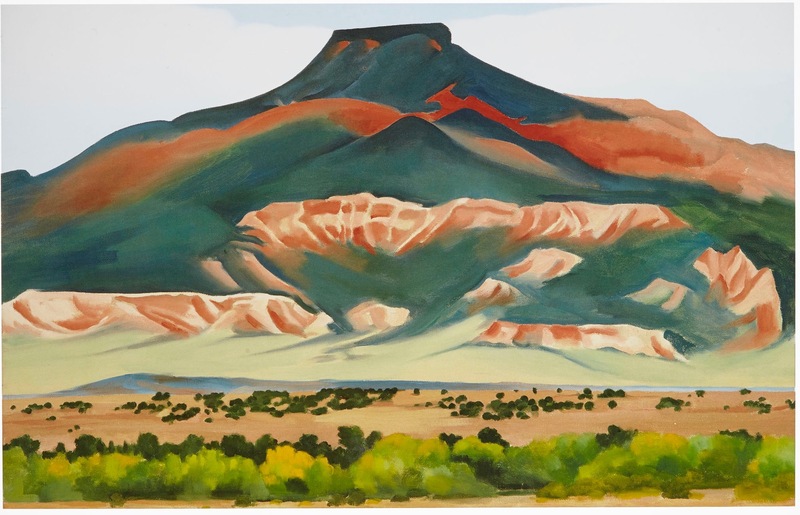 One of her many paintings of New Mexico’s Pedernal. O’Keeffe said of Pedernal, “It’s my private mountain. It belongs to me. God told me if I painted it enough, I could have it.” But, like others of her works, the painting has suffered from imperfections that were growing, spreading, and flaking. 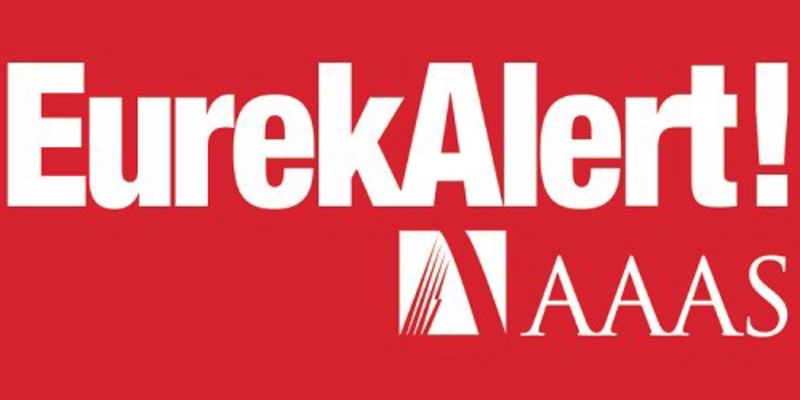 The American Association for the Advancement of Science publishes EurekAlert! as “a Global Source for Science News.” A February 16, 2019, release titled “Diagnosing ‘Art Acne’ in Georgia O’Keeffe’s Paintings” gives details of work supported by the National Endowment for the Humanities. 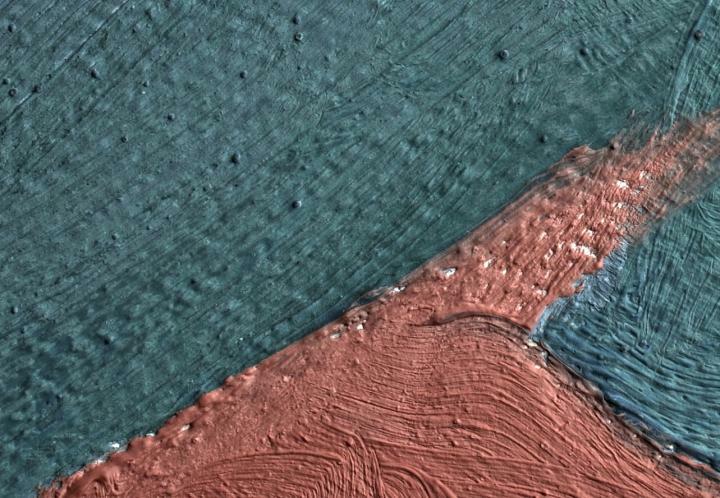 This strange paint disease was diagnosed by a multidisciplinary team from Northwestern University in Evanston, Illinois, and the Georgia O’Keeffe Museum in Santa Fe, New Mexico. A closeup of a portion shows tiny protrusions of metal soap. Image by Dale Kronkright/Georgia O’Keeffe Museum from EurekAlert! She did some wonderful work in Hawai’i as well. 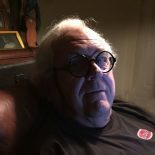 This entry was posted on March 28, 2019 by simanaitissays in Sci-Tech and tagged "Diagnosing 'Art Acne' in Georgia O'Keefee's Paintings" AAAS EurekAlert!, "Diagnosing a Paint Disease with Computer Science: The Case of Georgia O'Keeffe" Oliver Cossairt Northwestern University, American Association for the Advancement of Science "EurekAlert! ", Dale Kronkright Georgia O'Keeffe Museum, Georgia O'Keeffe, Georgia O'Keeffe Museum, Marc Walton Northwestern University, Northwestern University.